Everyone is talking about Windows 10 for months, news and updates about the system are coming out every day. Windows 10 Technical Preview is already very popular with more than 5 million insiders. 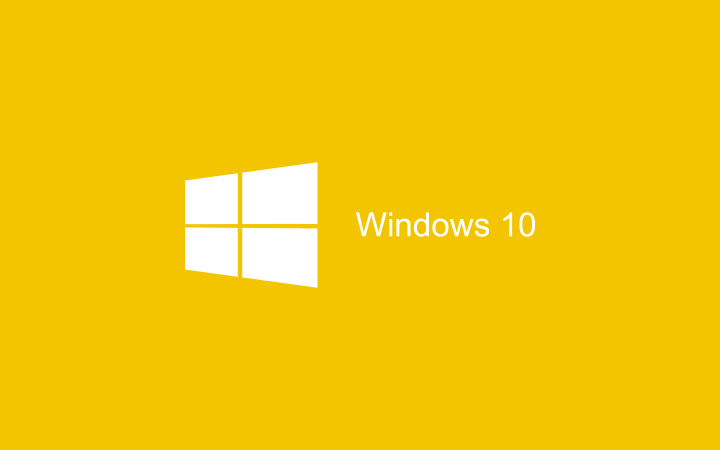 Many more millions of users are currently running the stable Windows 10 OS versions. Should I upgrade from Windows 8.1 to Windows 10? 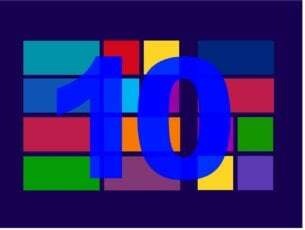 But if you still have some confusions whether you should upgrade your system to Windows 10, we’re going to present you the most important features of Windows 10 and the most important reasons to upgrade your system to this innovative OS. Start menu was one of the most recognizable features of Windows operating systems for decades, and Microsoft’s decision to remove it in Windows 8 definitely represented a big change. But Windows users definitely weren’t ready for such a change. They were unsatisfied with the new Metro environment, and a lot of users complained about the lack of start menu. Microsoft was well-aware of the situation and the company decided to fulfill the wish of millions of users and return start menu in the next Windows. But what to do with all those apps designed for Metro environment? The company couldn’t just throw them away. 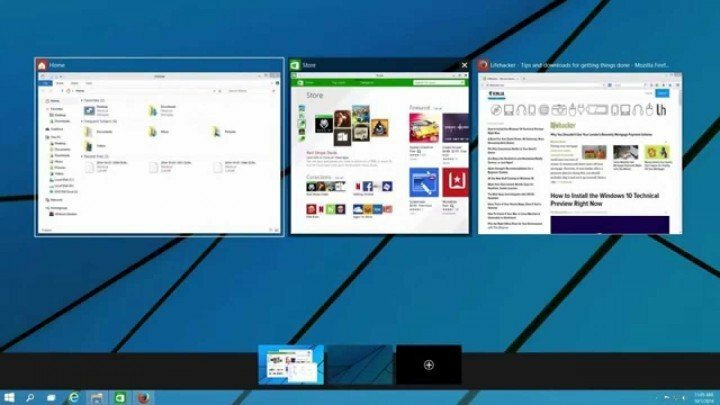 So Microsoft came up with a compromise, as it combined traditional start menu with Metro apps to get brand new look of Windows 10 start menu. For now, reviews are positive, and Microsoft definitely made the right move with returning start menu to Windows platforms, because it satisfied users who were against start screen, as well as users who loved Metro apps. Besides start menu, Cortana is also one of the most notable additions to Windows 10. Microsoft firstly introduced Cortana to its Windows Phone platform with 8.1 update, and was last of major manufacturers who released a virtual assistant for its mobile platform, as iPhone and Android got their virtual assistants way before Windows Phone. But Microsoft was first to bring the personal assistant to PC platforms, which is definitely a noteworthy innovation. With Cortana you can search web, but also local files and folders on your computer. 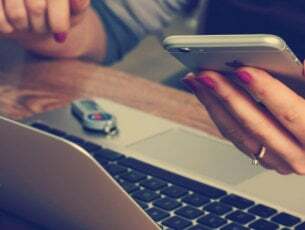 It is also very customizable and very personal virtual assistant, as it recognizes things you like and provides you with content based on your interests. 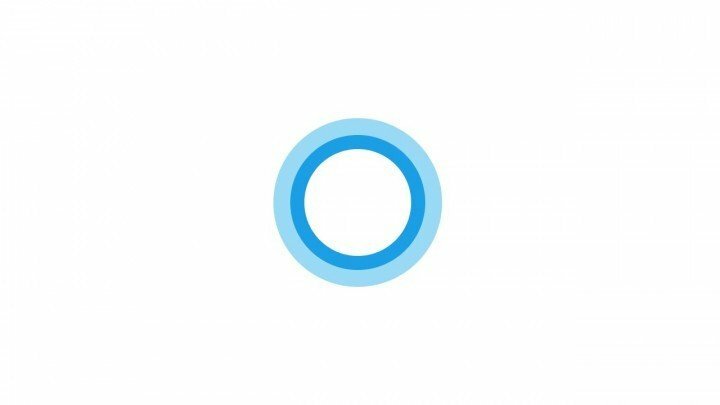 Cortana will also be integrated with Microsoft’s new browser, Project Spartan or Edge, so you can use it’s help while you’re browsing, right on the webpage. Cortana isn’t the only thing Microsoft took from portable devices, because Windows 10 features a brand new ‘task manager’ and the option of creating multiple desktops. Virtual desktops feature allows users to create multiple desktops, and pretend like they’re working with multiple monitors. This feature could be extremely useful if you want to work with multiple programs at once. Next is the Task view feature which allows us to easily control our tasks, just like we do on mobile devices. Task view button is present in the taskbar, next to the search bar, but you can also access it by pressing alt + tab buttons. With this task manager you’ll be able to swiftly switch between tasks, manage and close them. 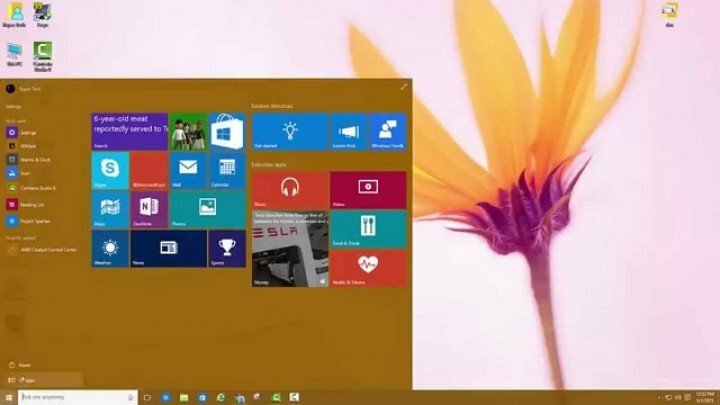 These feature will definitely increase the productivity of Windows 10 users and make using of the system easier. 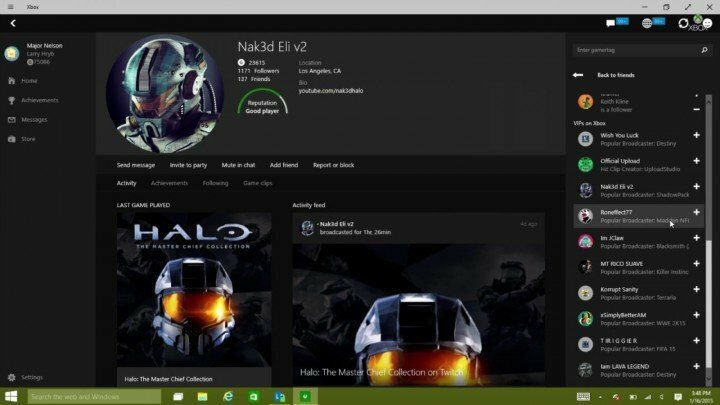 Microsoft is preparing a lot of great, new things for gamers with Windows 10. Basically, gaming in Windows 10 is going to be all around the new Xbox app, but this app offers a lot of features. You’ll be able to chat with friends, track your activity feed, check leaderboards, etc. Also, you’ll be able to stream your Xbox One games on your PC, which means that you could play and watch all your Xbox One games on your computer. Xbox app goes to the point where it will allow you to play Xbox games on PC with friends who play the same game on the console. This is another addition to Microsoft’s Windows 10 cross-platform philosophy. Also, we expect the new DirectX 12 to be released for Windows 10. The new DirectX will definitely improve graphics of the games and bring the new experience to PC gamers whose graphics cards could support it. 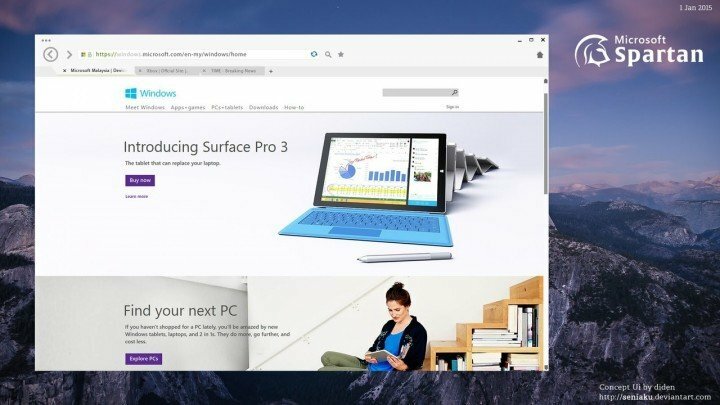 Along with Start Screen, Microsoft introduced Metro apps in Windows 8, Windows 8.1. There are a lot of useful Metro apps in the Store, but users simply don’t like the fact that these apps use the whole screen. So a lot of people disapproved this feature, just like it was the case with start menu. Luckily, Microsoft fixed this as well. Of course the company couldn’t allow itself to simply remove all those apps from the store, because a lot of effort and a lot of money were put in them. So Microsoft decided to redesign them a little, as they’re now available in the windowed mode, just like other regular programs. This is much better for PC users, because previous design of apps just wasn’t desktop-friendly, and some users had hard time using it. 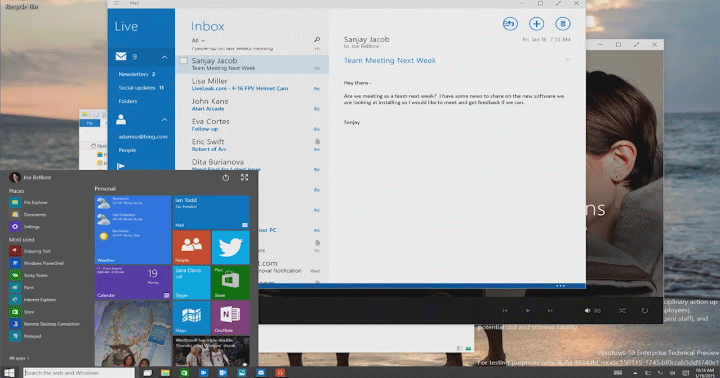 But in Windows 10 size of apps’ window is easily customizable, so you can adjust it by your desire. It looks like Microsoft developed a habit of ending an era with its new operating system. Like it was the case with start menu in Windows 8 (luckily, the company decided to revive it), Microsoft sent Internet Explorer to history after nearly 20 years of lasting. Internet Explorer will be replaced by new Microsoft’s browser, Project Spartan/Edge in Windows 10. This Microsoft’s move might actually be good, because although Internet Explorer is the most famous browser in the world, it’s not famous for great performances. People are mocking Internet Explorer for years, because it’s slower than competitors, and introducing a new browsers could attract users’ attention in a good way. 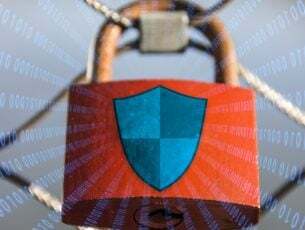 As for Microsoft Edge, we can’t tell you much about the performance, because like the system itself, it’s still in its early testing phase, but it surely offers some new, refreshing features. It is powered by EdgeHTML engine, a new layout engine, created from Internet Explorer’s Trident. It also has some other Microsoft’s products integrated, like personal assistant Cortana, which will improve your searching, and Microsoft OneDrive. It also has a new Reading View option, which will bring a new dimension to the reading experience. Microsoft is putting big hopes into Windows 10, as it’s company’s most innovative operating system ever. It combines something from every previous Windows with new additions, so whether you liked Windows 8 or not, you’re going to love Windows 10, because it offers a lot. Microsoft also announced that Windows 10 is going to be the last version of Windows, so you definitely should be a part of such a huge and historic project. UPDATE: Since the writing of this post, the number of Windows 8 and Windows 8.1 users has constantly been decreasing. Many users decided to switch to Windows 10 in order to take advantage of the latest OS features and system improvements. Currently, Windows 8 holds a 1.3% market share while Windows 8.1 runs on 5.4% of the world’s Windows computers. If you change your mind and you decide to upgrade to Windows 10, you can use this guide to download and install the latest Windows 10 OS version, which is the Windows 10 October 2018 Update.